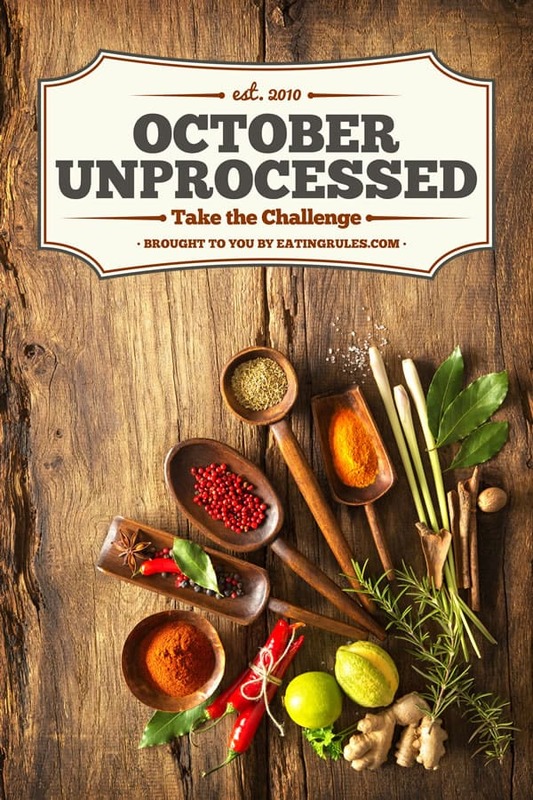 Congratulations on making it through the Ninth Annual October Unprocessed Challenge! 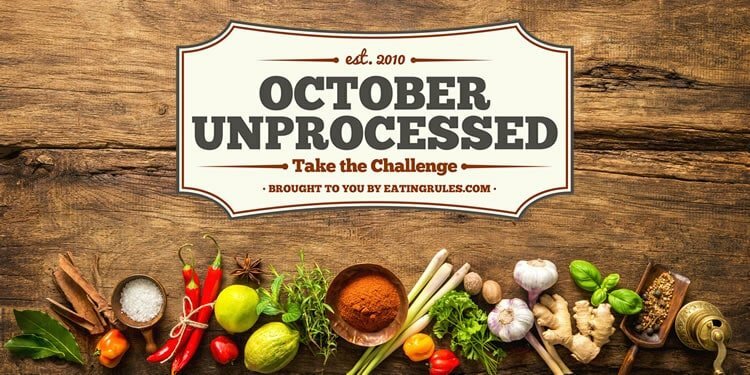 Whether you went completely unprocessed, or just started paying closer attention to what is actually in your food, I hope you can consider the challenge a success. October Unprocessed, at its core, is an awareness exercise. Although many people report feeling better (and losing weight! ), the goal isn’t really to change your health in just one month. It’s to learn about and focus on what you’re putting in your body, and how it affects your health and well-being, and the world around you. I hope you’ve learned a lot this month, and will take that with you moving forward from today. Even though this October has come and gone, October Unprocessed doesn’t really end today – I hope you’ll take your new-found unprocessed knowledge and build on it, growing and learning for the rest of your lives. Each year I’m blown away by the number of people who volunteer their time, expertise, and talent to make October Unprocessed a success.First, I would like to thank the Guest Post Authors – the heroes of October Unprocessed! Together, they brought us stories of inspiration and health, along with many creative “how to” guides, recipes, and resources. I am reminded each year of the incredible people in the food blogging and wellness community. They are one of the finest groups of people I’ve ever been blessed to know and be a part of, and for that I am truly grateful. I’m deeply grateful to Kristi, who helps coordinate and set up all the guest posts (no small feat! ), and Jeff, helping with all the graphics and images (gracious even under those “hey, we need just one more” weekend deadlines). Without Kristi and Jeff, there’s no way October Unprocessed would have happened this year. Thanks, team. Finally, a big thank you to everyone who took the challenge and participated in any way. The challenge is really about all of you and I hope you’ve had a great experience. 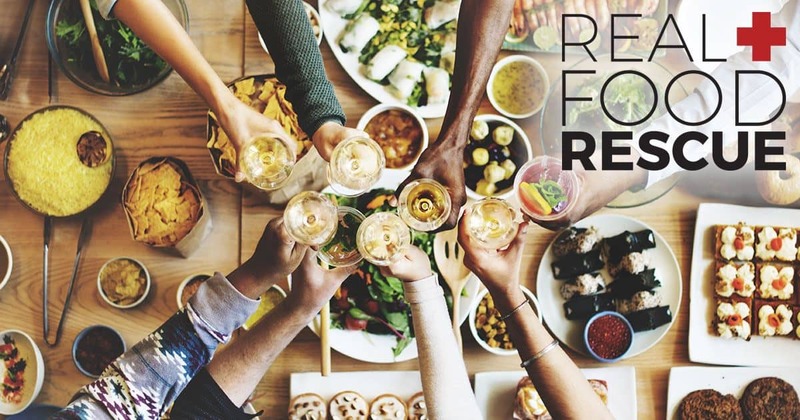 Now’s the time to join the Real Food Rescue! We’ve gone through a month of recipes and exploration, but if you’re looking for more of a guided experience this is the best way to continue and build up on what you’ve just accomplished. The Real Food Rescue is a 4-week program that gives you the strategies and tools you need to transition to–and maintain–a real food diet. The Real Food Rescue is filled with advice, strategies, and printable checklists & worksheets. It also includes dozens of easy recipes and three weeks of full meal plans. Take control of what you eat, feel great, and transform your life! I’d love to know how the challenge went for you. Did you complete the challenge? Overcome any specific hurdles? Have any revelations? The most important question: What will you take with you moving forward? Leave a comment below and let us all know! Today while pillaging for breakfast, I had the thought “Oh great, I can eat processed food, what do I want for breakfast?” Well, I wanted homemade greek yogurt and 1/2 mango. Wait that’s my preference and I’m no longer obligated to eat unprocessed? Yes, nothing processed sounds good to me today, I hope it lasts until next October Unprocessed. Also, I am down 4 1/2 pounds! Hooray! So glad you had a great month… and am thrilled to hear you’ll be continuing on. Yay! Hello! This is a nice article and an awesome challenge. I haven’t started it yet. But I am planning to do it this 2019. I’ll do this by the first day of January and see if I can survive. Wish me luck. Xoxo. I read labels like it was no one’s business! But, that gave me a better understanding of what goes into food, and, I discovered some new foods that will definitely be a part of my lifestyle from now on.